Most people would be surprised to learn that the most critical time period in a personal injury case is the first few hours after the accident occurs. The actions taken in this short period can affect not only the value of your claim but whether you have any case at all. 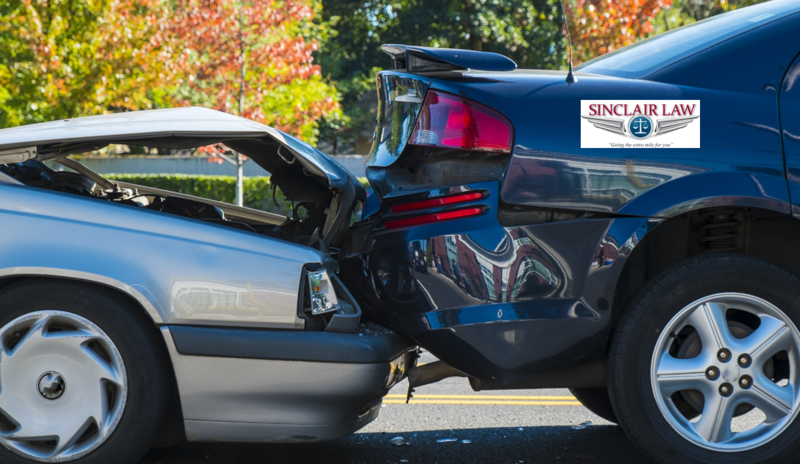 In the interest of helping you protect your rights under Florida personal injury law, Sinclair Law would like to offer you this list of five mistakes to avoid when you have been involved in an auto accident. It is a sad fact of life that insurance companies are in the business of making money, not taking care of people. You can rest assured that they will do anything in their power to avoid paying a claim. This is particularly true if injuries are involved. To make sure that your rights under Florida law are fully protected and that you receive what is rightfully due you, it is best to talk to an experienced attorney before talking with anyone from the insurance company. Many times, people will think they are uninjured and that no major damage has been done to their vehicle. Instead of waiting to get a police report, they will simply exchange information and walk away. This is a mistake that can have severe consequences. You could have suffered an unrealized injury, or your vehicle could have hidden damages that make it unsafe to drive. An official police report will contain the details of the physical scene as well as witness information and statements from the involved parties. This establishes the facts of the accident as they truly existed so you don’t have to worry about people’s memories changing after they have talked to their insurance company or their own attorney. Adrenaline rush, shock and just the stress of being involved in an accident can prevent you from realizing you have been hurt. Even worse, nerve damage will often not manifest itself for quite a period of time. To assure your own well-being and to establish when and how you may have been injured, you should have a full medical examination as soon as feasible after being involved in any auto accident. Whereas people’s memories can shift, photographs are a moment frozen in time. Take as many pictures as you can. Start with wide-angle shots from a distance and then work your way down to detailed close-ups. You can never be sure what may turn out to be a key piece of evidence in a case, so the more the better. Virtually all phone conversations made by insurance adjusters or their legal councils are recorded for future use. As innocent an act as them asking how you are and you replying “I’m fine” could have a profound effect on any claim you might have.